The Soil and Pimp Sessions. 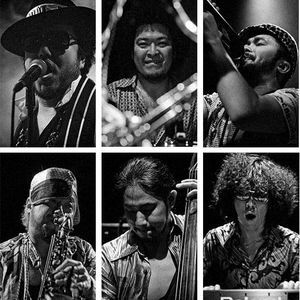 Prepare yourself for the uber-eccentric, Japanese "Death Jazz" club sextet known as SOIL & "PIMP" SESSIONS! Man, these guys are crazy "TIGHT". I&apos;ve been officially, "PIMPED". Ha! Haa!! i like this song so much!!!!!!!!!!!! Gran selección de una de mis bandas contemporáneas favoritas! !